With 666ms of delay time, The Curse seems to exude evil – a nice little touch by the developers there. It has basic delay controls for the usual Delay Time, Mix and Feedback parameters, so if you’re familiar with delay effects you’ll get the basics down quickly. Where it gets more interesting is with the Modulation Time and Depth, plus the Skew for the waveforms (random, square and sine) for making them asymmetrical if needed. Then you get Tap Tempo and Tap Tempo Multiplier, plus CV (Control Voltage) inputs for Tap Tempo and Modulation. 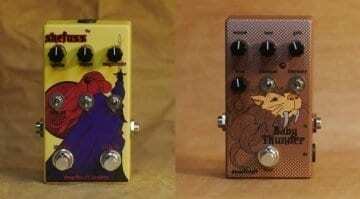 The top toggle switch sets the waveforms and these are used to affect the modulation. 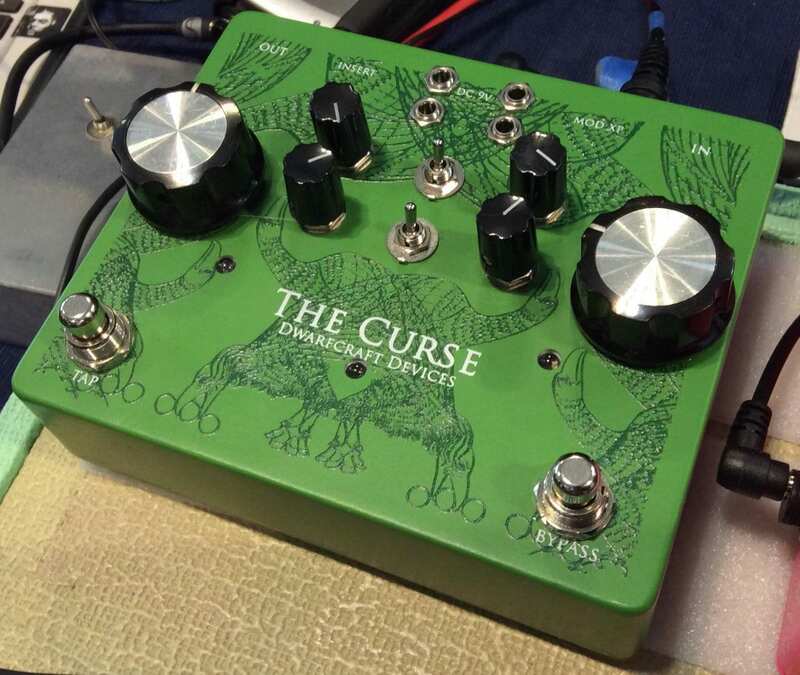 What’s interesting about The Curse is you can make extreme settings that are far from subtle – though it can do more ‘normal’ modulations as well. 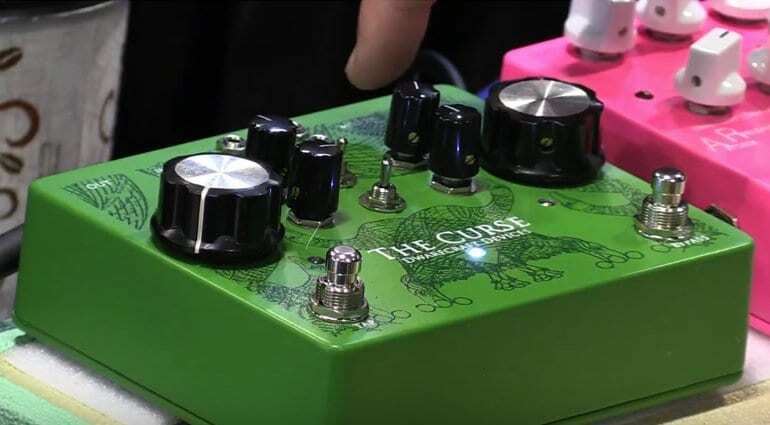 As yet, The Curse pedal hasn’t got an official product page or price, but at the Summer NAMM Show, they said they were hoping to get it out for under USD 450. 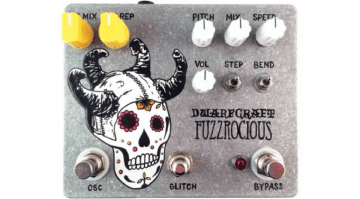 Of course, as you can probably tell, this pedal is far beyond your average delay pedal and with CV inputs for clocking to other sources, you could make a lot of very strange noises with this effect pedal. Definitely one for all you sonic noise terrorists out there and one that I look forward to hearing more of later this year when it comes out. Dwarfcraft Devices seem to think it will be ready by the end of September. 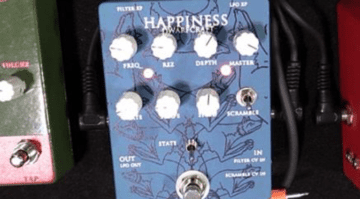 Dwarfcraft Devices’ Happiness filter pedal: A Delight of a Device?